Questions About Lil?? Text “ Lil in San Antonio” to (888) 833-2132 or email Adopt Lil@pet-lover.us. We look forward to hearing from you! My name is Lil. I am a very sweet natured – but shy – young female dog. I am very healthy, fixed, up to date on my shots and crate trained. I had a rough start in life. I was born into a situation where I was surrounded by aggressive dogs. As a result, I am very shy and around stuff I am not used to. When strangers come to my house, I run and hide. I have yet to master the art of potty training, but I am working on it! I am looking for a loving new home with people who will provide me with a safe, happy and healthy home. 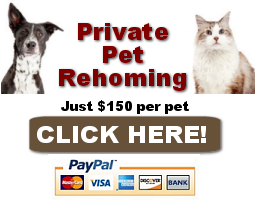 I need a strong routine, and would be best suited for an adults only – only pet home. I am definitely a diamond in the Ruff! With patience and a bit of training, I will mature and settle into a fantastic family companion. I will be rehomed with all supplies and vet records. Please adopt me today. I live alone and my house is quiet and low key. Lil’s Favorite Toys, Foods, Activities? Why is Lil Being Rehomed? Someone who is understanding of dogs with their issues, patient and kind. 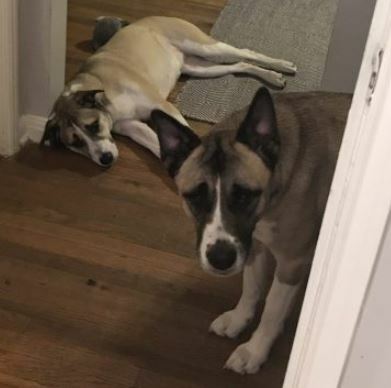 If you are interested in adopting this special Anatolian Shepherd Akita mix Dog For Adoption in Austin TX, please fill out our online meeting request here. 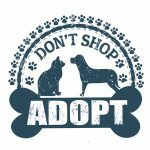 Once received and reviewed, our staff will ask the pets owner to reach out to you and arrange a meeting to determine for certain if Lil is a good fit for you – and you are a good fit for her. Lil is a Anatolian Shepherd Akita Mix Dog for adoption in Austin TX, near Jollyville, Anderson Mill, Pflugerville, Lakeway, Cedar Park, Round Rock, Kyle, Leander, Georgetown, Lockhart, Taylor, San Marcos, Canyon Lake, New Braunfels, Seguin, Pershing, Iglehart, Rollingwood, Montopolis, Vinson, West Lake Hills, Sunset Valley, Abercrombie, Smoot, Williamson, Pleasant Hill, Lost Creek, Del Valle, Greenshores, Kincheonville, Oak Hill, Barton Creek, and a reasonable drive from Houston and San Antonio. Texas. Adopt this sweet Anatolian Shepherd Akita Mix Dog today.